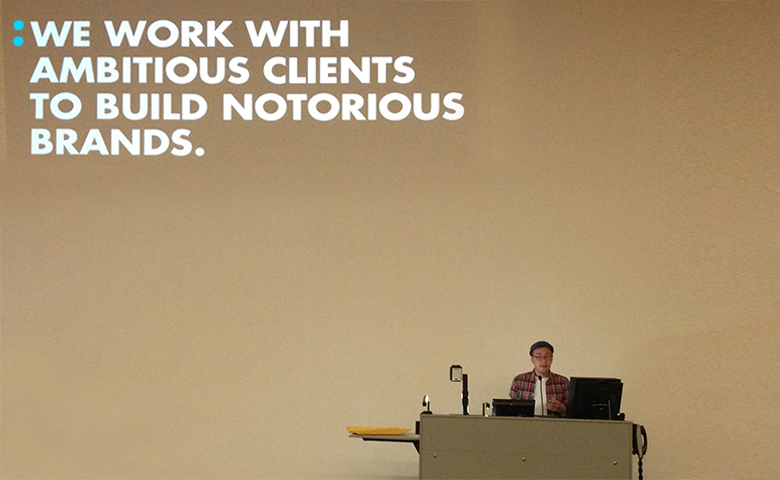 Last week our designer, Alex Creamer, was invited out to UWS in Penrith to talk branding to some of their students. In a similar vein to the talk 'Clients who say Yes', Alex discussed our thoughts on design through the eyes of a younger designer and how this is applied to our work, from creating identities for both large and small clients. The crux of the talk focused around our recent rebrand of Optus, where Alex showed the development from concept to launch and everything in between. Thanks for having us and making us feel welcome.